According to Mr. Olsen there are over 40 million seniors in the United States and many of these seniors have retired owing debt they cannot pay. Under the law, Mr. Olsen explains, social security, disability and pensions are protected from collection. Nevertheless, seniors are frequently harassed by creditors and go without basic needs such as food, medicine and heat in an attempt to pay debt they can never pay off. Since the Bankruptcy Reform Act of 2005, bankruptcy has become very expensive. Mr. Olsen says, seniors are often faced with two options; deal with the harassment – or file a bankruptcy they cannot afford. Now, for a minimal enrollment fee and a maintenance fee that is normally just $20 a month, HELPS Nonprofit Law Firm provides attorney protection. When a senior is represented by an attorney, under the law, contact from collectors by phone and mail must stop. Its making a big difference in their lives. I want every senior citizen to know, this service is here for them. Now We never turn down a senior that qualifies. We are here to share the burden. These seniors now have a place to go for help. The HELPS website features senior citizens sharing their real-life harassment experiences. These are stories that hit home with other seniors. We asked our clients if they would be willing to share their experience on video with others, Olsen explains. Many have this overwhelming desire to share their stories with others. They want other seniors to know that help is available, so they dont have to experience what they went through, before they found HELPS. The most common statement I hear is HELPS brought peace back into my life. This entry was posted in Jeremy Eveland, Success on March 30, 2017 by admin. From Ronald Reagan “The Notes” page 214. Many of you know that from time to time I post a quote on my blog here. I’ve been going through the book called “The Notes” which is the published collection of notes that Ronald Reagan collected on 4″ x 6″ cards that he would regularly use in talks. Personally, I loathe wasting time. I find that I have to be doing something constantly. I hate having nothing to do. But I ran across this quote and it struck me as being true. Everyone can get wound up and burned out. And when that happens, the best course of action is to waste a little time and get yourself back on track. Sometimes you just need to have fun or do something wasteful to get back to normal. Anyway, I saw this and I thought’d you enjoy it. Hope that helps you in some form or fashion. This entry was posted in Jeremy Eveland, Success and tagged Jeremy Eveland, Wasting Time on March 15, 2017 by admin. – Ronald Reagan – “The Notes” p. 162. Have you ever sat in a room and felt like you needed to talk. That you needed to be heard. That someone should respect you and you should be able to tell your story? This is one of those things that most people feel in a group or social setting. They feel like they need to talk to other people. They want others to care about them. However, sometimes, the most powerful person in the room is the one who does not have to speak. It is the person who has simple patience. Because they don’t “need” to talk. You may need something but they don’t. So how do you cross over? How do you become the type of person that no longer needs to talk or needs to talk in a group or be “known” – I know there are people who disagree with me, and they are entitled to do so. I only think that we should be aware of what is nature or insecurity and what is power. 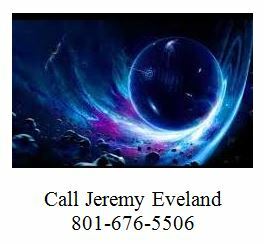 If you want to help create authentic sublime power in your life, you should call Jeremy Eveland. You may be suprised at what you soon discover. This entry was posted in Jeremy Eveland, Power, Sublimest Power and tagged Jeremy Eveland, power, Ronal Reagan The Notes, Ronald Reagan, Sublimest Power, Success on March 3, 2017 by admin. You are the way you are because that’s the way you want to be. If you really wanted to be any different, you would be making a radical change right now. How to do you find insights? How do you do thinks that are not obvious to others? How to you create changes in your life? At this point, ask yourself how you’re doing on your new year’s resolutions. Have you achieved your new year’s resolutions? Why hasn’t the change “stuck”? Are you now going to start complaining? Will someone give you sympathy for your complaint? Will the sympathy make you feel better? 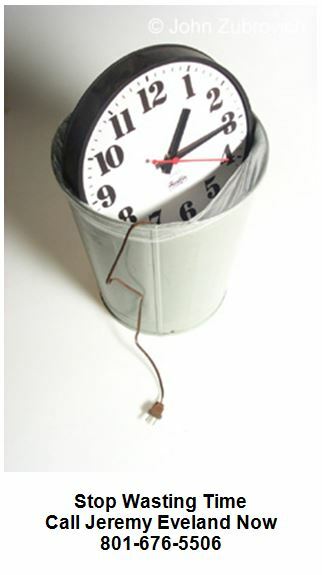 Does your sympathizer’s reaction keep you trapped in your behaviors that you want to change? If you “really want” change – take massive action right now. Do you really want change? This entry was posted in Jeremy Eveland on March 1, 2017 by admin.